I covet your meditation circle and make no bones about it. The new planting is wonderful. The image of you planting on your knees in this holy space is perfect. The caretaker of this space is an amazing gardener. Blessings. How lovely of you to say Stephanie. Thank you. You must come visit and I promise I’m going to show up at your door one day. Does your Husker’s Red reseed? I was in a shade garden a few weeks ago and they had it everywhere. Yes, it reseeds like crazy Marian, in the meditation circle. But I have some in another spot where it’s never done much at all. I gave away a dozen full-sized plants to a neighbor and I replanted about that many elsewhere in my garden. It’s very easy to pull up though so it’s great to have. My grows in full sun–didn’t realize it would like the shade. We are all held hostage to the vagaries of the weather. Looks like your garden is coming along nicely anyway. Thanks Rickii. After spring my garden is very much hit or miss. It’s hard for me to maintain interest in grooming it through hot, humid and/or dry summers. I have an ‘August Beauty’ and it hasn’t started budding yet. What do you know that I don’t? Probably just a fluke John! The foliage on these gardenias look terrible still from the cold winter. I gave them a half-hearted trim several weeks ago. 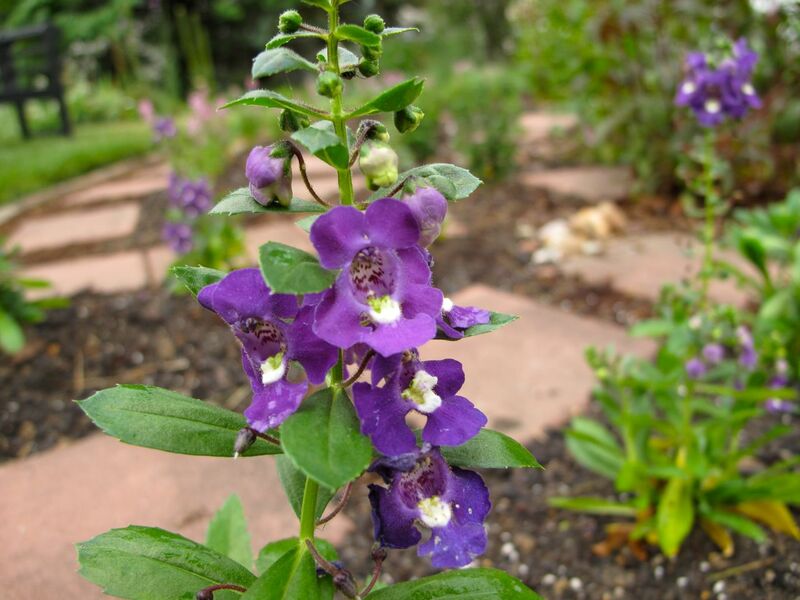 I have never come across Angelonia before, what a pretty flower. What is the flower in your header? 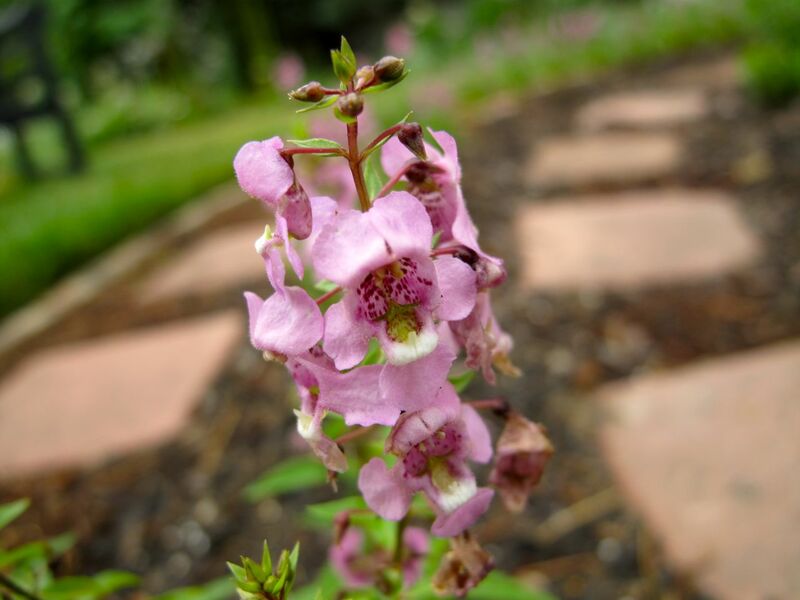 Angelonia is an annual I discovered a few years ago that is fairly drought resistant once established. It’s starting to be used all over town by landscaping companies in medians and borders at shopping centers, but I like it a lot for the wall of the labyrinth, which are very narrow. The header shows one of the first of the season, soon-to-open Monarda didyma (Scarlet bee balm). This is native and the hummingbirds are drawn to them. Thanks Matt. Yes, it’s Monarda didyma (Scarlet beebalm), just about to open. They smell quite minty. Your new header is lovely Susie. Is it Monarda? 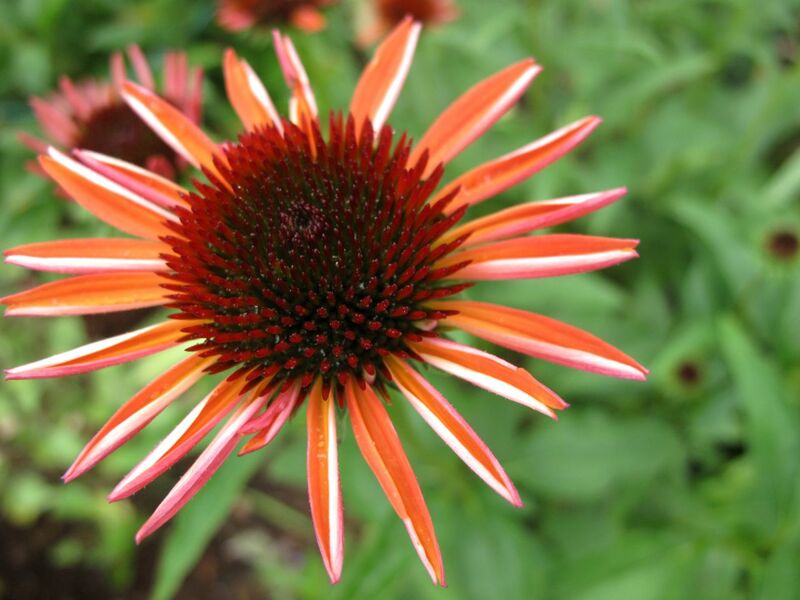 And your Echinacea is a beauty…. can’t wait for mine to flower. I think the Meditation circle looks much calmer and more ‘meditation-like’ now although I did enjoy that riot of lush growth and colour in spring! PS Have just read some of the other comments, yes it is Monarda. Lovely! The Angelonia are new to me and look very glamorous. What is their flowering season-like? Will they be flowering in September for instance? Yes, October 28th is average freeze date in this area, but of course it can be early. 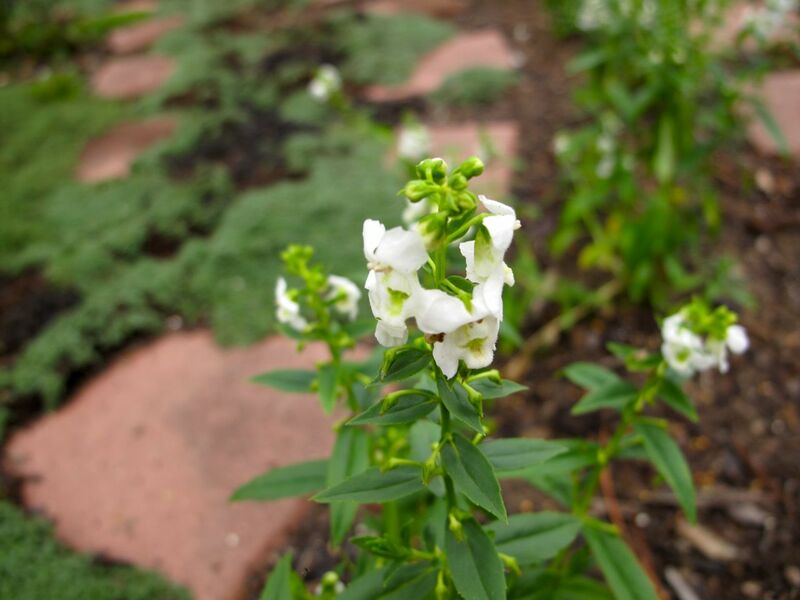 The Angelonia should be safe until mid-October. Thanks Judy. 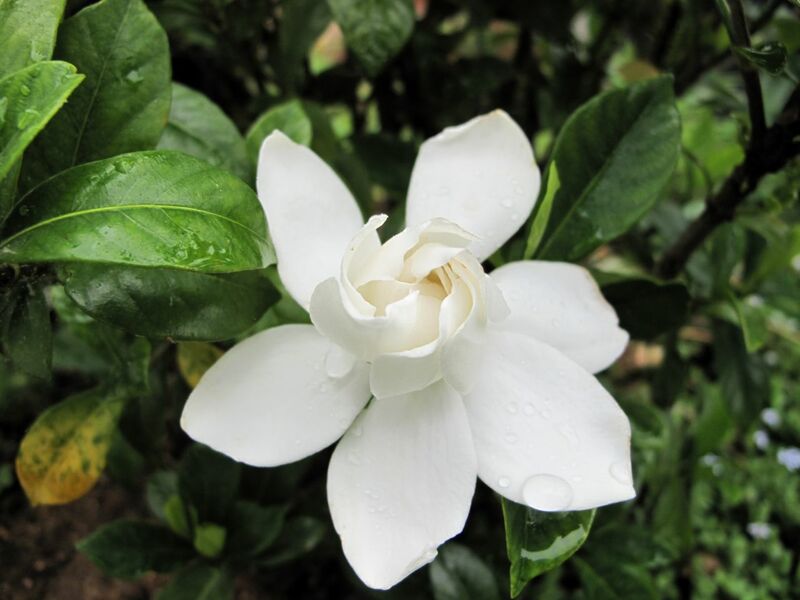 The gardenias are a great treat this spring. 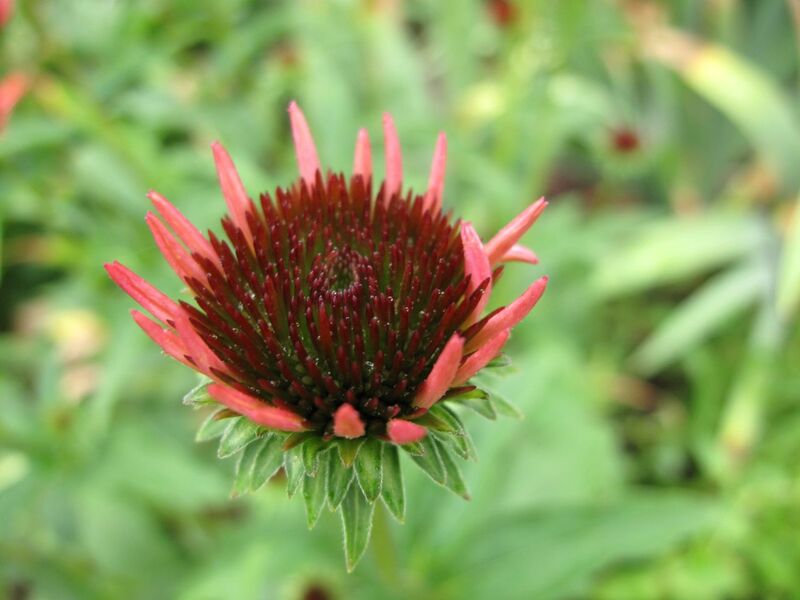 Echinacea budding up here too and I hope I do not have more with Asters Yellow. 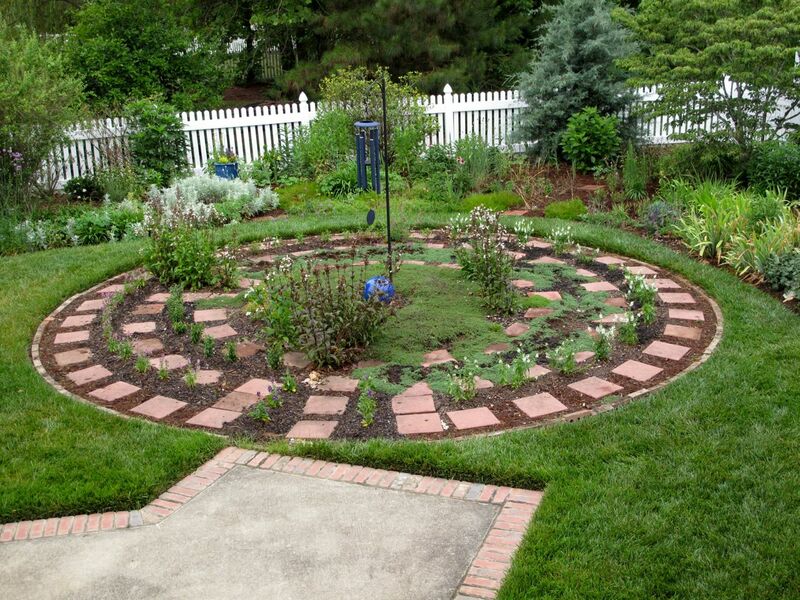 I love the sedate look of the circle with new plantings. I have not planted any annuals except for the flowers I grew from seed. I have to go plant shopping soon. Thanks Donna. 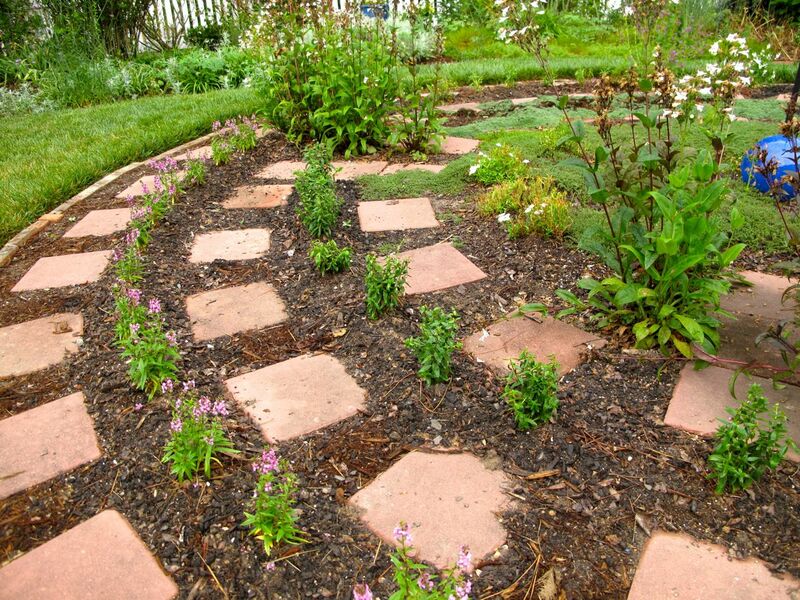 The streamlined planting in the circle makes it more functional. I need to toss out more zinnia seeds–the first batch didn’t do much at all, but really have to have some.